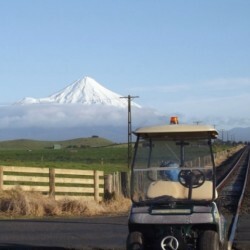 Enjoy the scenery of the changing rural landscapes including, forests and farms and get up close and personal with the local wildlife, while you travel the Okahukura-Stratford line between Stratford and the Republic of Whangamomona. Visit an organic farm with the opportunity to sample and buy locally made produce. 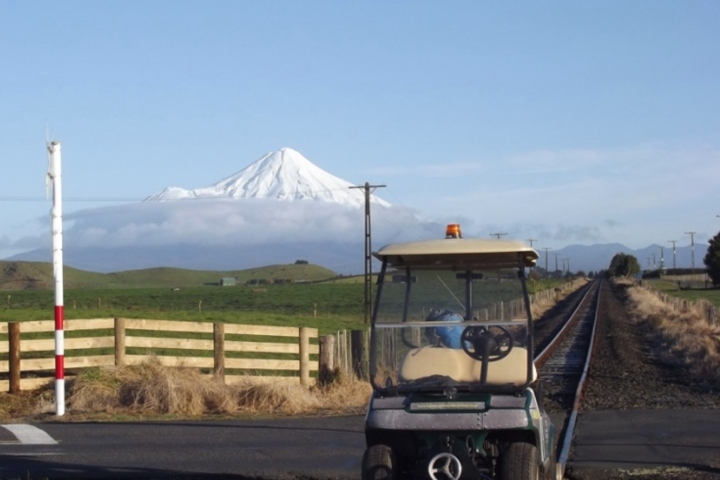 Enjoy lunch at Douglas station and enjoy the views of spectacular Mt Taranaki, a dormant volcano that stands 2,518m tall and last erupted in 1775. Starting in Stratford, you'll be shuttled to the start of your tour. Board your Rail Cart and set off on your journey into the Forgotten World. Discover ever-changing vistas as you learn about the history of the area and the stories of the settlers. Stop for morning tea and home baking at Douglas, see redwood plantations, pine forest and deer farms and get up close and personal with local wildlife in sheep and beef country. 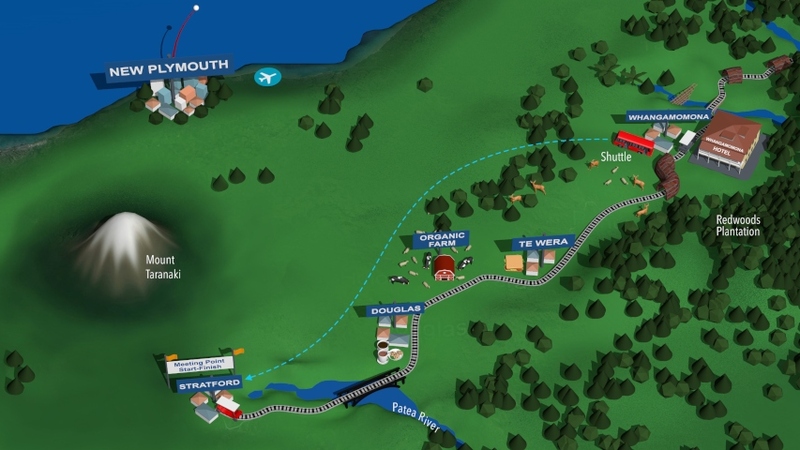 Visit an organic farm with the opportunity to sample and buy locally made produce and journey through several tunnels including the S-bend tunnel arriving in to Whangamomona. Here, explore the Republic, take a stroll or grab a drink at the famous Whangamomona Hotel (additional cost). Then, a return transfer takes you back along the Forgotten World Highway, back to Stratford.